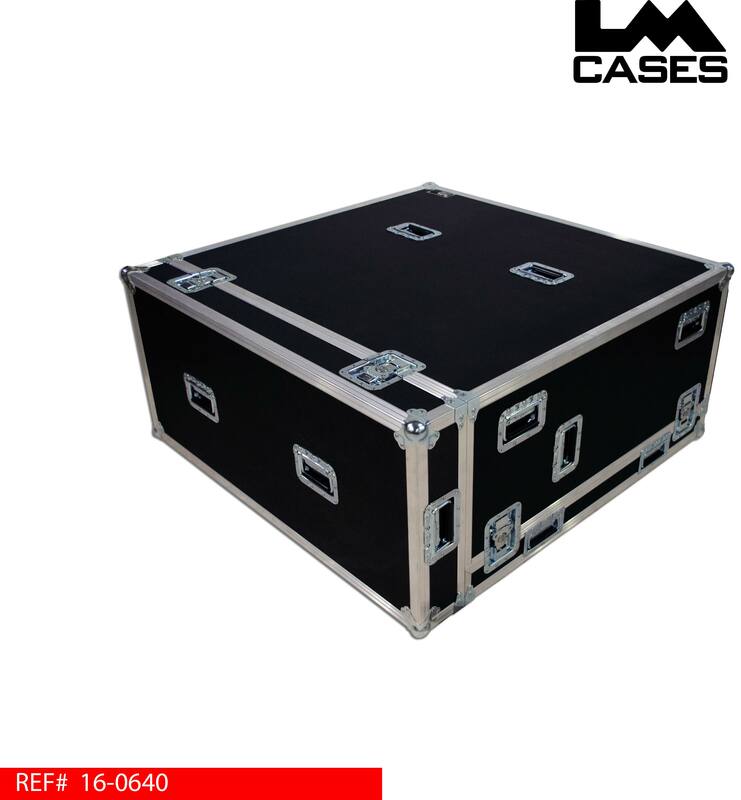 This case was designed for YouTube to hold thier Lawo MC36 console. 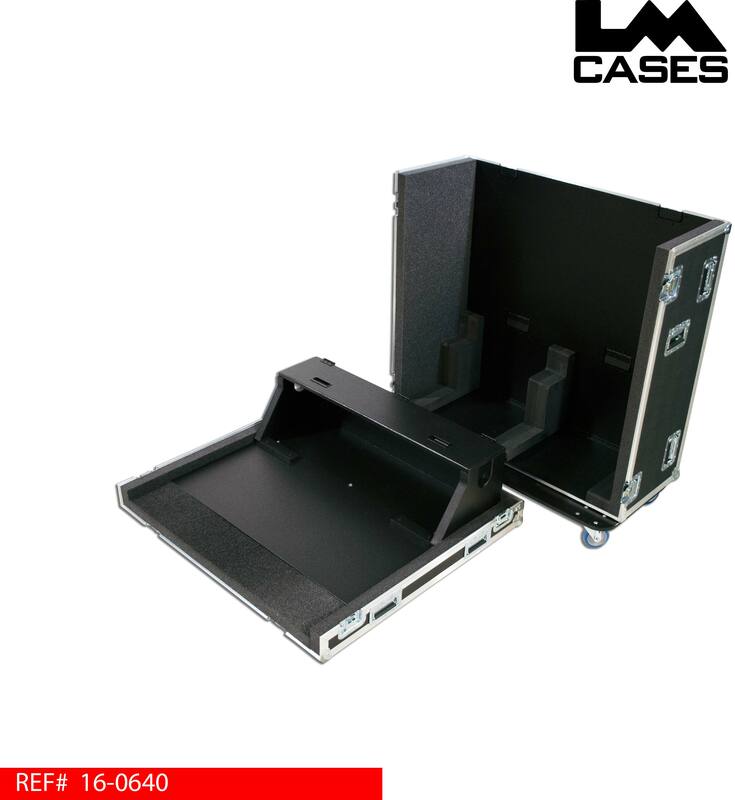 The case is engineered to contour the shape of the console, wrapping the interior foam and doghouse around the angled features and screens. 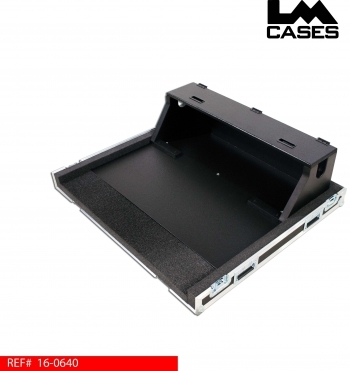 The console is protected by no less than 2" of foam at all points. 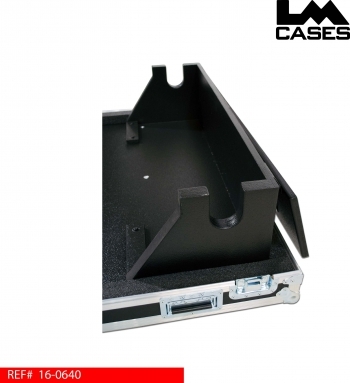 The case interior features Crosslink foam which is a closed cell material to prevent any scratchers to the console or its screens. 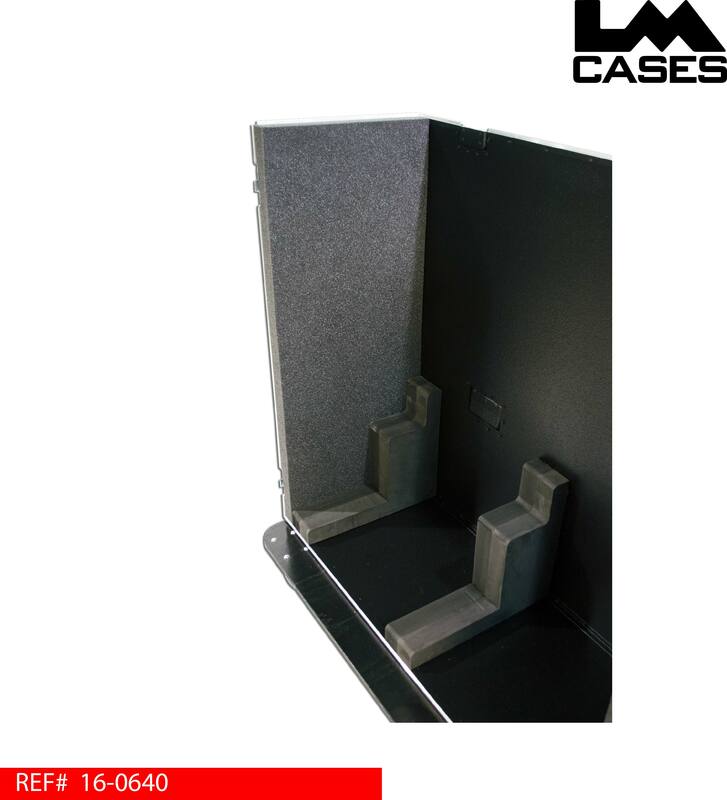 The interior also features a 8" deep doghouse that is built out of 3/4" Baltic Birch plywood that is finished with black texture coating. 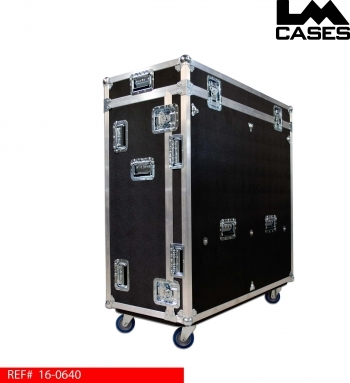 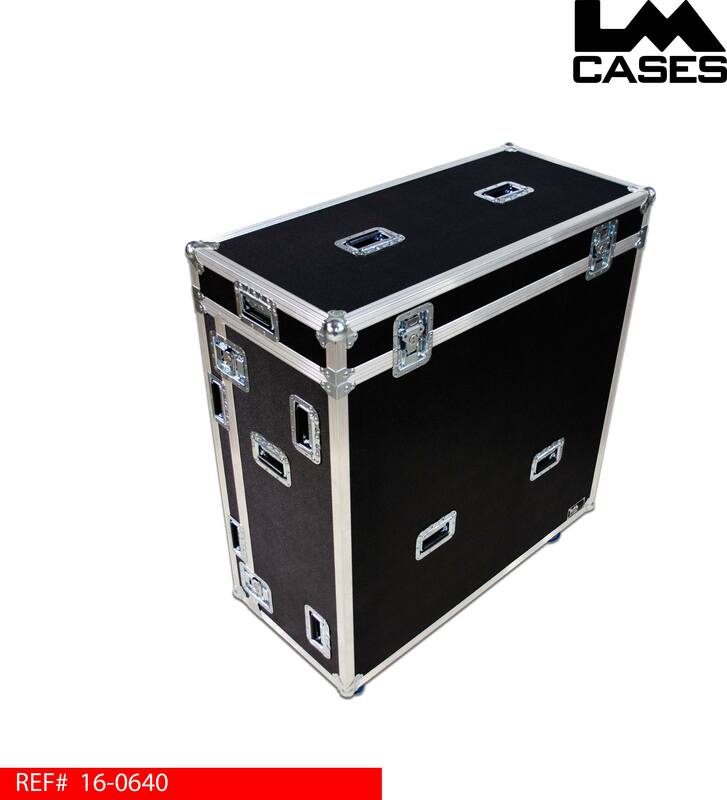 The case exterior is built out of 3/8" plywood and features a removable top lid and nose lid. The exterior also features 18 deep recessed handles and 4" Colson casters with a full 3/4" caster board.